My birthday dolls name is Amelie, I love her so much that I think she is the prettiest doll that I ever had! I had many pretty dolls, in fact, I have three favorite dolls right now! Anyway, I love all of my dolls! Here is a picture of my birthday doll and my sister. This entry was posted by admin on May 31, 2010 at 9:59 am, and is filled under Uncategorized. Follow any responses to this post through RSS 2.0. You can leave a response or trackback from your own site. Amelie, what a beautiful name; a lovely doll and sister you have too! It’s nice of you to let Lizinka play with her! What’s her favorite doll’s name? Thank you! 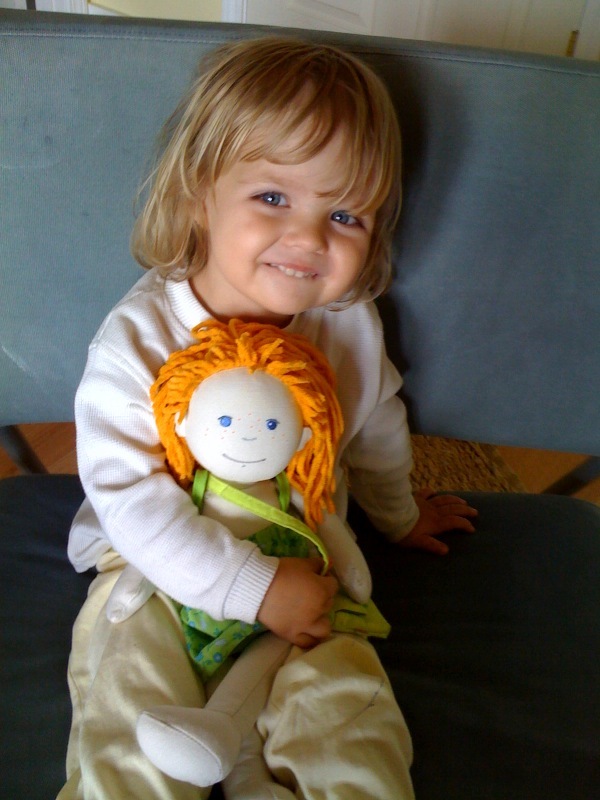 Lizinka’s favorite dolls name is Jimmy. Thank you Claudia and thank you for visiting my blog. Come back.